David and I chat about The Marketplace of Ideas, Observer, cinema (the most-vital-director-of-our-time you see me forgetting is Sangsoo Hong), Santa Barbara, Los Angeles, the modern novel, and other important stuff. I continue my reading on the nineties U.S. independent film boom with a recommendation from Rob Montz. Sharon Waxman’s Rebels on the Backlot came out right around the same time as Peter Biskind’s Down and Dirty Pictures, but instead of telling a complete-as-possible history of the movement, it focuses instead on six potentially representative auteurs: Quentin Tarantino, Steven Soderbegh, David Fincher, Paul Thomas Anderson, David O. Russell, and Spike Jonze. Sometimes authors bear responsibility for this and sometimes publishers do, but the book occasionally reads like a sleazy tell-all, as in the Tarantino chapters hell-bent on exposing the filmmaker’s poor personal hygiene and embarrassingly higher-than-lower-middle-class background. The sections on Soderbergh fare better, despite compulsively returning to and speculating about his issues with “intimacy.” Still, the more I read about the man, the sadder I get about his limiting “one for them, one for me” mindset, where every actually interesting project — the kind that prompts Waxman and Biskind to whip out their licenses to dismiss — means one more Erin Brockovich or Ocean’s Fifteen. Spike Jonze I’d never known much about, but I found Being John Malkovich’s story of slipping through the bureaucratic cracks and coming to fruition pretty much undicked-with inspiring. It got me thinking about the year 1999, when we had not only Malkovich, but Magnolia, Fight Club, Three Kings, The Limey, and several more I’m surely forgetting besides. Say what you will about any of these films, but has the spotlight of U.S. cinema fallen across any lineup as interesting since? No wonder I got seriously into movies right then. I get the feeling that a lot of readers will come away from the Paul Thomas Anderson chapters thinking of him as the ultimate obnoxious, demanding wunderkind, a paragon of arrogance demanding ever-higher budgets, ever-longer runtimes, and ever-finaler cut authority. But if the guy uses his high budgets, long runtimes, and final cuts to pump out pictures like Boogie Nights, Magnolia, Punch-Drunk Love and There Will Be Blood, does asking for them, no matter how forcefully, really count as arrogance? Waxman writes much about Anderson’s ongoing struggles with one particular executive, a symbol of the whole theme of “imperatives of art v. imperatives of commerce” that keeps coming up in my reading about this period — although nothing has ever totally convinced me of their direct opposition. But don’t believe me! Listen to Soderbergh, who gives the book’s closing quote: “This is a story that goes back all the way to the beginning of cinema in this country, with the struggle for auteur filmmaking with the American cine-culture. That’s always been the battle. Between the belief that a director should be in creative control of a movie, as opposed to the person financing the film.” Hmm. But David O. Russell, as Waxman portrays him, fascinates me more than anyone else. Maybe that happened because of all the stories about him getting into fistfights with producers or forcing George Clooney to do yoga breathing or looking up dresses or getting written off as a “weirdo” or taking his own photos from awards-ceremony stages. I certainly couldn’t drop the book when it got into the famously tormented Three Kings shoot, not just because I quite like that movie — and its DVD, which I need to watch again soonish and which provided an important unit in my self-made film school when back, at age fifteen, I decided I want to make films myself — but because of the obvious all-consuming dedication it required of him. Man had to get in the game, and it shows in the final product. Alas, the Three Kings stuff also turns out to be the closest Waxman gets to discussing the actual process of making a film. Most of the book treats it as a black box surrounded by a web of time-sensitive financial dealings (both under- and over-handed) and endless personal strife for the artist. It can tell you about Harrison Ford’s waffling about joining the cast of Traffic or Anderson’s locking himself in the editing room and denying studio stooges access or Jonze’s fashioning a half-floor out of an existing office building or Russell’s insistence on shooting on Ektachrome or Fight Club’s apocalyptic test screenings, but the real substance of cinematic creation — the stuff that doesn’t necessarily make for juicy anecdotes — goes missing. This surprises me in an otherwise crazy-enjoyable book about these particular directors, but certain moments give the game way. Though I do sense sense a genuine admiration for the work of Tarantino, Soderbergh, Anderson, Russell, Jonze, and Fincher, I can’t quite forget the times Waxman lets slip with sentences like, “The glacially paced and icily shot Solaris was a remake of an Andre [sic] Tarkovsky film that made all but the most dedicated art-house movie lovers fall asleep” — sentences which exhibit about five different levels of philistinism at once. The Greek Theatre, Saturday, July 9 — that made the second time I’ve seen Steely Dan play live. The first came nearly eight years ago at the Universal Ampitheatre (hey, I’m just going with the spelling the venues themselves use) right after I’d plopped myself down in Santa Barbara from Seattle. I figured that, in the process of preparing myself for the next plop, this one to Los Angeles from Santa Barbara, I should see Steely Dan again. They’d scheduled their show the night before my dad’s birthday, too, so I’d have been a fool not to take advantage of the confluence. Other Steely Dan fans I meet routinely assume my dad got me into the band. I don’t fault them, since he’s the same age as Donald Fagen, and I’m the same age as... I don’t know, Avril Lavigne? But he’s told me stories of hearing the likes of “Rikki Don’t Lose That Number” and “Reelin’ in the Years” so many times so very involuntarily in the mid-seventies that he didn’t want to drill down any further. I can sympathize; who knows how many artists I can’t properly hear due to abuse by overexposure at the hands of the zeitgeist? (Outkast comes to mind.) When I first heard Steely Dan, by contrast, I heard them with the receptive ears of someone trapped in the web of nü-metal the year 2001 wrapped around every teenager. “The Dan” quickly became the only “rock” band to which I could pledge allegiance, not just because they took/take more care with their music’s composition and recording than any of their colleagues did in the seventies — or do even now — but because they eschewed rock’s simple (and, as I always thought, fakey) emotions just as they eschewed its simple arrangements and instrumentation. I realize that simple emotions and simple instrumentation — the simpler, more straightfoward, more “raw” the better — do a very appropriate artistic job indeed for teenagers roiling with Holden Caulfieldesque rage at the world, but I lacked that rage. I suffered instead from... jeez, my own weirdly complicated suite of desires, maybe? And I don’t mean “complicated” in a good way. But nor do I mean it in a bad way! Steely Dan’s music operates on its very own morality, its very own aesthetics, its very own rubric of judgment, and I suspect Becker and Fagen rank ambiguity very highly in all three categories. My first and least deniable impulse to buy all their albums flared up in response to sheer craftsmanship; I recall a story about how they spent four solid hours in the studio mixing the fadeout on ”Babylon Sisters”, and the Classic Albums: Aja documentary remains my testament to studio obsessiveness of choice. But as the years pass, I keep them in high rotation (if only in my mind, sometimes) because of that distinctive S.D. sensibility. The worship of loserdom; the point in the circle where high life meets lowlife; the makeshift cultural pantheon grown at once from midcentury U.S. optimism, its repudiation, and ideas of exoticism rooted in both; humor that isn’t jokes; the unquestioned if not unquestionable taste of an upmarket-downmarket aesthete (or “sensualist”) in people, places, and products (“We love beautiful women, fine wine, suede moccasins” - W.B. ); the maximization of possible interpretations; one’s raised eyebrow at both one’s own skeevy glances and one’s lack of real desire to do more than glance skeevily — these resonate ever more strongly with me over time. The stories of Fagen and Becker's "obsession" are legion. For instance, when working on their second album, Countdown To Ecstasy (1973), they ran an eight-bar loop of two-inch tape to an idler wheel outside the control room in an attempt to achieve drum machine-like precision in the rhythm section. When working on Gaucho (1980), they pioneered the use of engineer Roger Nichols' freshly developed Wendel sampling drum machine and audio sampler (12.5kHz/12-bit) for drums and percussion. An indication of the amount of overdubbing, splicing, and re-recording that went into their quest for perfection was that Nichols and Scheiner used up 360 rolls of tape recording Gaucho. For Fagen and Becker only the very best session musicians (meaning, in the '70s, the likes of Jeff Porcaro, David Sanborn, Randy Becker, Larry Carlton and Joe Sample) and engineers (Scheiner, Nichols, Bill Schnee) would do, and even these top guys were pressed hard to perform beyond their best. Maybe I’ve just built up some sort of internal deficiency from logging so many empty day-job hours, but I feel a fast-growing thirst — a thirst, I tell you — to work unreasonably hard on something, to spend my days (and nights) on my own equivalent of Becker and Fagen’s four-hour fadeout or Hunter Thompson’s complete Gatsby retype or Kubrick’s 148 takes of Shelley Duvall walking through a door or what have you. I must sublimate myself entirely into the creation of things, though these things — and here, all the articles assure me, comes the sticking point — must keep me in collar stays, Asahi, and shelter. “The Caves of Altamira” (The Royal Scam, 1976) The story of a boy who regularly escapes into a “hole of rock and sand” full of prehistoric paintings has only gained relevance, especially after Werner Herzog’s Cave of Forgotten Dreams. (Different country, but still.) An ideal example of how Becker and Fagen took a set of truly late-seventies sounds — behold that John Klemmer sax solo — and made them timeless by skewing them just enough. “Black Cow” (Aja, 1977) I often refer to this as my favorite song of all time, and I sometimes even believe it. As in “Caves of Altamira”, the repurposed late-seventies horns do a lot to make that happen, but only while listening to this song did my lyrical epiphany come: you don’t want words that mean one thing and one thing only; you don’t want words that mean everything, and thus mean nothing; you want words that mean an interesting range of things. Steely Dan write such words better than anyone, and “Black Cow” has more such words than any other in their oeuvre. Also, I moved to Santa Barbara in part because a local coffee shop offered black cows. I just got to the end of Let’s Learn Japanese Basic II, a language-learning video series the Japan Foundation produced in 1995. Before that, I watched Let’s Learn Japanese Basic I which they put out in 1984. Together, they form a 52-episode series that not only teaches the mechanics of the Japanese language but follows the extended narrative of Yan, a youngish Westerner (I’ll guess Egyptian-American, though the show keeps it vague) in Japan to study and practice architecture. He also buys a boom box, visits famous shrines and beaches, falls for a co-worker, gets jerked around by said co-worker, flees to the snow country for solace, and gets drunk viewing cherry blossoms. The last quarter-century’s Anglophone Japanese-learners regard Yan as legend. Some have even tracked down Nick Muhrin, the actor who portrays him. Japanese teachers screened these videos in class when they were new — when Japan rode high on the global scene — and seem to continue doing so today. I can see why; their production value strikes me as obsessively high, at least by the standards of language-learning shows. Sure, you have to get yourself in a mid-eighties mindset (which I’m always in) to really appreciate some of the computer graphics used in the strictly instructional segments, but man, those skits? The costumes! The sets! The camera movements! The sheer variety! I have a hard time engaging with episodic art forms the way they’d like me to — hence my non-participation in our current televisual “golden age” — but something about the anti-dramatics of this type of show keeps me hooked. (Well, that and my desire to learn the language.) Let’s Learn Japanese and its brethren don’t care about doling out precisely engineered doses of plots about bombs planted in the middle of D.C. or desert islands brimming with polar bears or cheerleaders sticking their hands down garbage disposals. Their characters go shopping, mail letters, take day trips, clean the house, and hang out on rooftop beer gardens. These bare-bones, everyday life-derived stories free the show up to concentrate on its own distinctive texture. I want to label the resulting style something like “cheerful utilitarianism.” Each episode’s form follows its function, but it does so with a stereotypical Japanese verve for somewhat ramshackle slickness and slighty goofy efficiency. In these qualities, I sense the indescribable aesthetic-philosophical sensibility that first turned my head toward in Japan way back when. I’ve already started missing one thing about watching Let’s Learn Japanese: the characters. Or should I just say “the people”? You’ve got the stout, resilient Yan-san, of course, but you’ve also got the hosts, the amiably robotic Althaus-sensei and Umino-sensei, she of the elaborate sailboat sweaters. Above all, you’ve got the skit players: Basic I young dude Kaihô-san, Basic I gamine Sugihara-san, Basic I middle-aged combover guy Mine-san, Basic II young guy Ando-san, Basic II gamine Koyanagi-san, and Basic II middle-aged combover guy Kodama-san. I’ll miss those middle-aged combover guys the most — or should I say, I’ll miss those middle-aged bākōdo otoko the most. 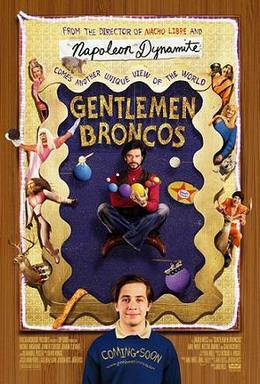 But even some of Napoleon Dynamite’s most diehard boosters never heard, I gather, about Gentlemen Broncos, the third film from directors Jared and Jerusha Hess. Nacho Libre, which came between, starred Jack Black as a Mexican monk-turned-secret underground wrestler. All three display the Hesses’ strong fascination with social outcasts in marginal, religious patches of North America, chintz and tchotchkes piled high, and outsider art so inept that it very nearly comes around the other side. Where the moon-booted Napoleon had his Preston, Idaho, the home-schooled, Benjamin has Tooele, Utah. Where Napoleon drew heavily “shaded” notebook-paper-and-pencil portraits, Benjamin writes a novel called Yeast Lords: The Bronco Years. I hope this doesn’t sound too contrarian-for-contrarianism’s-sake, but I like Gentlemen Broncos the best of all three Hess pictures. Wikipedia says that “due to poor reviews the national release was pulled from theatres,” which astonishes me. “Due to poor reviews?” If distributors pulled films due to poor reviews, Paramount would have spared us the Transformers series. I have to assume something else went on behind closed doors; maybe some higher-up found his excuse not to have to pay for a promotional campaign. But this movie turns out to work with both greater ambition and greater specificity than its predecessors, which makes it a much more worthwhile viewing experience. I probably won’t watch it again, but I’m glad I watched it once. Gentlemen Broncos offers more to laugh at than did Napoleon Dynamite, not least the awkward dignity it gives the lead girl’s linguistic gaffes (“I’ve been studying in Belgium — namely, five months”) and the constant stream of ridicule — ridicule born of deep familiarity — it aims at pulp sci-fi’s sad grandiosity. Portraying Benjamin’s one-time hero Dr. Ronald Chevalier in a series of maroon turtlenecks, various Native American-y accessories, and a never-removed Bluetooth earpiece, Jemaine Clement from Flight of the Conchords nails the pompous pathos you see when sci-fi and fantasy novelists surround themselves with supplicant fans. The Hesses come from a midwestern Mormon background, which region and religion both seem to have unique relationships with science fiction; that alone opens up plenty of rich storytelling soil. Alas, they grow rather less in it than I’d hoped. Just like Napoleon Dynamite and Nacho Libre, Gentlemen Broncos works as an occasional master class in wonky production design (I still think about the mansion of Jack Black’s champion arch-rival, preserved in burnt-orange 1970 amber) and an ongoing reverse master class in how laughter works. These films don’t base their humor on their characters’ personalities, nor on the interaction between them, nor on the consequences and implications of their situations. They want you to laugh just because something is: because Benjamin lives in domed house, because he writes the word “yeast” so often, because his mom makes hideous nightgowns, because his would-be girlfriend shoots movies on VHS. Or because Nacho stumbles around and feeds orphans glop. Or because Napoleon wears a brown suit. We get an unceasing succession of free-standing (to use Ebert’s critical term of choice) jokes without punchlines. Now, I don’t insist punchlines — far from it — but then, why all the setup? Even if I didn't love The Tree of Life, it would never occur to me to ask for a refund because I just didn't like a film. If the projection was screwed up or the sound was wrong, sure, I'm happy to demand money back. But I don't understand the thinking that goes "You should have used psychic powers to predict my aesthetic tastes and programmed only films I would like." What kind of sense of entitlement leads people to think like that? I don’t mind that they dislike the film, though I can’t imagine how they reach their verdict before the final frame; I’ve never managed that. I do sort of mind that they felt entitled to a film conforming to their specific set of likes and dislikes. As a smart fellow on Twitter recently twote, “I don’t want food made with ‘love.’ I want the work of chefs who hate my palate and its prejudices.” My culinary experience differs very little from my cinematic experience, or my experience of any sort of cultural expression: I want smells, tastes, textures, and combinations thereof that I don’t expect. Maybe I feel similarly entitled, but to that — I certainly feel disappointed when I don’t get it. In other news, I deem The Tree of Life the American film of the decade. Admittedly, this sounds a tad premature, but still. American cinema hasn’t had a strong run lately, and, absent some sort of renaissance, I don’t foresee any picture as interesting sprouting from my home soil before 2020. (And, yes, this judgment includes the films I’ll make, but hey, I’ve got low self-esteem.) The press has flocked to cover the movie, and with excellent cause, but now I wonder what I can say that others haven’t. I refer you to Anthony Lane, A.O. Scott, and Roger Ebert. 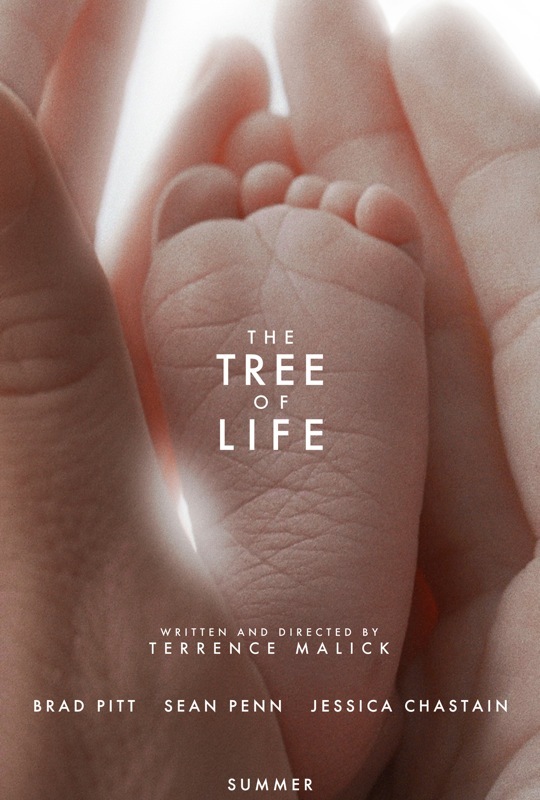 Terrence Malick still lacks a truly robust sense of humor, but I found select laughs in The Tree of Life. (Not that these moments provoked much laughter around me.) And, yes, some of those CGI dinosaurs won’t look good ten years from now, but the non-CGI visual effects will remain impressive. And though everyone talks about the images, I actually found the sound taking a more central place. Often, the narrative moves through back and forth in time and space first through what you hear, and only then through what you see, with dialogue that gradually slips away or only slowly fades into the mix. I need a more precise word “dialogue”; a lot of what people say in the film, you’re not meant to hear clearly. That quality alone feels like the tip of the structural-fascination iceberg. Why do you need 10,000 subscribers to continue it? I realize you want to spread ideas, and that's not a bad thing, but you seem so intent on ending it without reaching a larger subscriber base. Do you need that many people to justify its existence? Is this a self-imposed decision or was it forced upon you? I understand you're probably a freelance journalist and are busy and broke, but if you enjoy it, and your listeners enjoy it, there's no reason to push the boundaries of that relationship. If it becomes a burden then you can scale it back or pander for donations, or even end it. But begging for subscribers has always gotten on my nerves, regardless of the cause. The only justification I can see for this is that in order to get more high-profile guests, you need an established reputation, and for a podcast, subscriber statistics are the best way to show that. Strongly encouraging listeners to "recommend" and "share" turns me away. 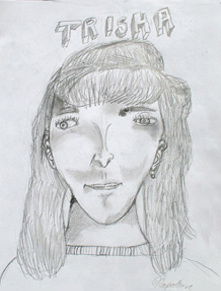 Nevertheless, I wish you success. I just hope you can attain it without succumbing to tired tactics that I've seen too often. The long and short of it: because I expected to reach 10,000 subscribers years ago. At the current rate of growth, I'll die of liver spots before I can make a sustainable career out of this. Much soul-searching tells me that, content-wise, I have already done enough to achieve this, so the sticking point must lay elsewhere. (As Principal Skinner once said, “No, it’s the children who are wrong.”) I choose to heed the golden words of wisdom Conan O’Brien uttered during his interview on WTF (a podcast that, coincidentally, recently hit it big on public radio): “Get into situations where you don't have a choice. I believe that's the definition of accomplishing things in this life.” Hence the decision to rip myself off of whatever teat now holds me back and move to L.A., with nothing lined up, in exactly two months. I’ve heard the question before, in various forms: “Why can’t The Marketplace of Ideas continue as a hobby?” Because nothing can. Maybe my own personal psychological weirdness causes this, but, broadcasting, filmmaking, or writing, I can’t keep any pursuit rolling viably as a hobby. But nor can I convert them into “jobs,” traditionally defined and separate from “life.” There comes a point when they must integrate with my existence itself or begone — and the clock’s ticking. I look back and find Seong-ho Yoon’s Milky Way Liberation Front (은하해방전선) far too goofy to have stuck in my brain except in individually hilarious fragments. Don’t take that as a disrecommendation. It has a story “about” a young filmmaker enduring script problems, lady problems, and, ultimately, speech problems — something thrusts total aphasia on him, so he has to have friend act as his ventriloquist — but don’t worry about it. I remember the experience as an explosion of colors, languages (at least Korean and Japanese, which, studying both, I found helpful), on-screen text of various sorts, movies and television shows within the film, and countless moments of teenage awkwardness. Despite my often saying that the second time you watch a movie is really the first time (since you don’t get distracted by following the plot) I imagine my second time watching this will feel like the actual first time. Jae-rim Han’s The Show Must Go On (우아한 세계) stars Kang-ho Song, known for playing chunky dudes who usually don’t know what they’re doing but, in the heat of the moment, summon their own kind of competence. Think of the bumbling dad in The Host, the freewheeling detective in Memories of Murder, or the boisterous North Korean sergeant in Joint Security Area. The man’s also worked for Chan-wook Park, Sangsoo Hong, and Chang-dong Lee, making him one of Korea’s biggest actors. Here, he takes on the role of one of those Korean gangsters who juggles his problems at “work” with trouble at home, much like the lead of A Dirty Carnival. His son’s off studying in Canada, his daughter wishes he’d die, and his wife keeps an ever-more-worrying tally of his various injuries. He longs only to buy a “Western-style” McMansion and move his family in, but elaborate internecine plots to kill him complicate his dream’s realization. The picture gets mileage out of the contrast between his domestic struggles and the expensive-looking knife fights and car chases that separate them, if perhaps a little too much. Setting a revenge-minded secret agent off after the serial killer who dismembered his wife, Ji-woon Kim’s I Saw the Devil (악마를 보았다) at first seems to go in the direction of one of those “avenger turns worse than the killer” movies, and maybe it actually does, but it feels a cut above that. The whole “Korea, land of EXTREME ASIAN MOVIES” comes, I would assume, from the popularity of movies like this and Oldboy and such. Most of the material wouldn’t seem out of place in a standard Western slasher piece: the serial killer goes around smashing women he spots at bus stops and whatnot, then sawing them apart back at his lair for his cannibal friend; the secret agent follows the killer around, repeatedly maiming him, letting doctors patch him up, and then maiming him again. But Kim goes into a great deal more visual detail than the Saws of the world, which still tend to work with implication, would lead you to expect. What weakness the film suffers from, it shares to varying degrees with much else in Korean cinema: despite approaching ideas worth going deep into — the killer’s supposed unscareability and convictions about everyone’s craziness but his, the secret agent’s slow crumble in the face of his own monstrosity — it stops just short, preferring to deal in expensive-looking camera moves instead.